After a war breaks out, what factors influence the warring parties’ decisions about whether to talk to their enemy, and when may their position on wartime diplomacy change? How do we get from only fighting to also talking?In The Costs of Conversation, Oriana Skylar Mastro argues that states are primarily concerned with the strategic costs of conversation, and these costs need to be low before combatants are willing to engage in direct talks with their enemy. Specifically, Mastro writes, leaders look to two factors when determining the probable strategic costs of demonstrating a willingness to talk: the likelihood the enemy will interpret openness to diplomacy as a sign of weakness, and how the enemy may change its strategy in response to such an interpretation. Only if a state thinks it has demonstrated adequate strength and resiliency to avoid the inference of weakness, and believes that its enemy has limited capacity to escalate or intensify the war, will it be open to talking with the enemy. Through four primary case studies―North Vietnamese diplomatic decisions during the Vietnam War, those of China in the Korean War and Sino-Indian War, and Indian diplomatic decision making in the latter conflict―The Costs of Conversation demonstrates that the costly conversations thesis best explains the timing and nature of countries’ approach to wartime talks, and therefore when peace talks begin. As a result, Mastro’s findings have significant theoretical and practical implications for war duration and termination, as well as for military strategy, diplomacy, and mediation. 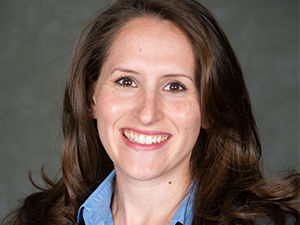 ORIANA SKYLAR MASTRO is Assistant Professor of Security Studies at Georgetown University and an officer in the US Air Force Reserve. She talks about China’s ambition to be a Super-Super Power. You can follow her on Twitter @osmastro or on her website at orianaskylarmastro.com.